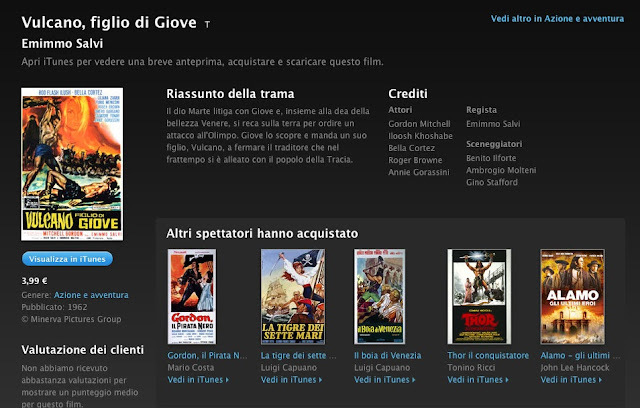 You can purchase PEPLUM films in their original Italian versions via iTunes Italy. This is VULCAN - SON OF JUPITER in widescreen. Unfortunately if you live outside of Italy you can't purchase them but this is pretty cool. Hopefully it'll catch on here in Canada or the US.